From the mountains to the city proper and beyond, we’ve highlighted four places to take snapshots in and around Seattle that you’ll likely find yourself near during your visit anyway. Not only are these spots totally picturesque, but also deserve your attention in general if they aren’t already part of your itinerary. Seattle boasts natural beauty like no other city thanks to its diverse climate and placement in the Pacific Northwest. As noted by Outdoorsy, there’s plenty for visiting campers and outdoor enthusiasts to look forward to: “You'll have access to beaches, glaciers, waterfalls or rainforests.” Sounds nice, right? And speaking of falls, the breathtaking views of Snoqualmie Falls are not to be missed by photographers. 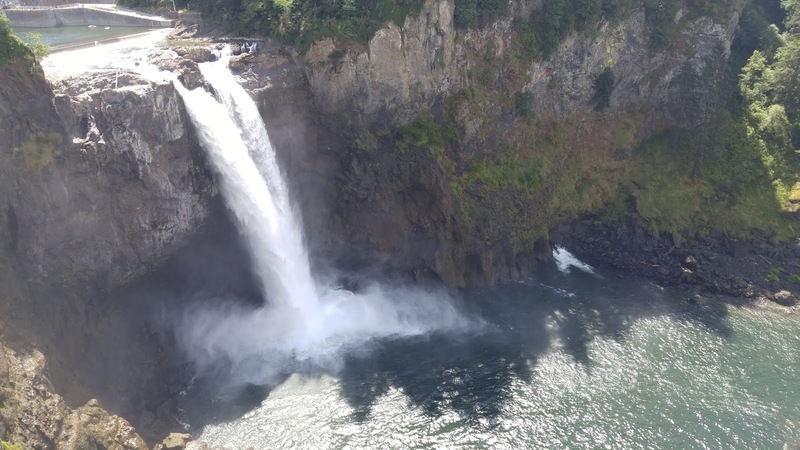 One of Washington’s most notable tourist destinations, the Falls are fair game year-round for snapshots and is most definitely worth the trek beyond the city of Seattle proper. If you’re looking to capture the hustle and bustle of Seattle as well as the personality of its residents, a visit to Pike Place Market should definitely be part of your plans. Located on the waterfront of Elliott Bay, the market is the perfect place to quite literally taste local flavor and likewise take a few photos. Some recent pictures from Pike Place Market point to just how picturequese the market itself is, especially if you’re interested in people watching. Be sure to also get some shots of the boats coming and go from the Bay if possible. Of course, it shouldn’t be a trip to Seattle without seeing the Space Needle, right? As such, a visit to Kerry Park is a must-do. And whether you’re visiting the top or you want a breathtaking shot of the Needle itself, be sure to brush up on how to photograph a skyline at night to ensure the best photo possible. With so much to see and do sprinkled throughout Seattle, chances are you aren’t too far from the perfect photo at any given time. Where you’re visiting the Emerald City long-term or are just passing through, make sure to document these hotspots to show off your friends and family.